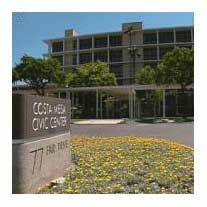 I'll cover the entire agenda for the Costa Mesa City Council meeting scheduled to begin at 5:45 p.m. on Tuesday, July 7, 2015 over the weekend. However, on that agenda is the presentation by the Parks & Community Services/Recreation Division for the new Field Use and Allocation Policy (FUAP) AND the request for special status of specific youth sports organizations. That agenda item is HERE. I read through this document and the attachments a couple times and NO mention is made of the screw-up that occurred last week when the Parks and Recreation Commission DID NOT vote to extend Group 3 status to Matt Leinart Flag Football. Despite what is VERY CLEAR in the video record of that vote, apparently the Contract City Attorney decided he knew what the commission meant when they voted - so he just decided that they HAD voted to extend Group 3 status to the Leinart organization. It's become abundantly clear that Matt Leinart Flag Football is the fair-haired boy. City officials have bent the rules and cut them slack ever since they decided they wanted to come to town. They've apparently just shrugged and gave it one of those "boys-will-be-boys" passes - kind of like Mayor Steve Mensinger's supporters always give him - "Oh, well, that's just Steve". I, personally, have NOTHING against Matt Leinart nor the flag football program that bears his name. I don't know him nor any member of his family, although some neighbors went to school with him. And, quite honestly, this isn't really about Matt Leinart Flag Football - it's about favoritism and applying the rules for everyone evenly. That has NOT happened in this case, and it's very troubling. I am not surprised this has happened, though. This thread of uneven application of the rules runs through city government as guided (tough to use that word in this context) by Steve Mensinger and Jim Righeimer. They act like they know exactly what is right for the city and just won't let those darn rules get in the way. The recent announcement of the relocation of Vans headquarters to the north part of town may be yet another example of that arrogant disregard for the rules - those rules put in place to protect the interests of ALL the residents of this city. So, on that happy note, I wish you all a very safe Independence Day holiday. As the clock struck 1 p.m. while I'm typing this, three bottle rockets exploded somewhere close to my house. Those safe and sane fireworks you bought to support youth groups are facilitating (and masking) those among us who also break the rules without regard to how it impacts the other members of the community. Quite a sad commentary. I'm not sure this is what our Founding Fathers had in mind. Apparently Jim thinks he is the council. In a OC Register about the growth initiative, he is quoted as saying the city council promised Vans that they could put a 40,000 sq. ft. addition on the building. It's curious how the city council could promise that when it hasn't even gone through the planning process yet. Das Rigmarshal also said that the new slow growth initiative will "destroy the city." 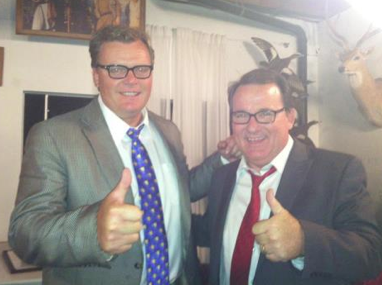 This little troublemaker has brought so much grief to Costa Mesa with his lies and manipulations. Let's buy him a one way ticket to North Korea. Maybe the promise was made while at that Vegas conference a couple months ago? Guess it's not true that what happens in Vegas stays in Vegas when it comes to Costa Mesa shenanigans. Casual, several have asked the same question. I believe we are owed some answers. Not only about this, but about the Leinert issue as well. This all points back, once again, the the two councilmen and what we can now call definitively "illegal" behavior. If Rig did promise 40,000 sq. feet to Van's building at this point, its not legal. If Mensinger did know and is putting Leinert's contract back in play as a non-profit when he is clearly for-profit, then that is fraud, and illegal. We seriously need to get these guys out of office in 2016. The new initiative is not about "slow growth." It's about giving the people of Costa Mesa a voice when major changes to laws regulating development are approved by the three-man pro-development bloc of the City Council. If the people decide it's a good change, it's approved. If the people decide it's a bad change, it's rejected. We the people must have the final say about how our home city will develop because we have to live with what's built - and the traffic, noise and pollution - for many years. Jim righeimer said during the Council meeting he and the Mayor met with the Vans people and told them the addition they want is allowed under the current rules. It may be, but it is disturbing that he and Steve are having side meetings with businesses and developers and telling them their projects will be approved. He's referred to similar meetings a few times before. If any of those approvals required a public hearing or a zoning administrator adjustment, he has created Brown act violations. In any case, any company could have gotten the same assurance from City staff. That's the usual procedure. A verbal assurance from a councilmember is not worth the paper it's printed on. 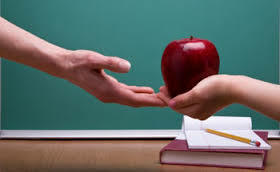 If a potential applicant needs a deviation, variance or GPA and wants to test the waters, they need to talk to at least 3 council members, being careful not to tell the others what one has said lest they create a Brown act violation. Something is way off kilter here.